As a franchisor, your role is to ensure all new franchisees follow the rules and requirements to operate under the name. Everything from signage to operating hours to staff uniforms may be restricted to follow the parent company’s guidelines. When new franchisees come aboard, they must read and understand these requirements before agreeing to them. An LMS can make it easier to standardize the training of new franchise owners. You can put the guidebook on the system so others can access it and read it for themselves. When new owners seek to become part of the franchise, you can easily add them to the system so they can read the same guidebook as everyone else. To keep a business relevant, it must change with the times. In a franchise, even one change can be complex as dozens or even hundreds of locations must follow suit to comply with the parent company. To manually update every guidebook is time-consuming and maybe even impossible. 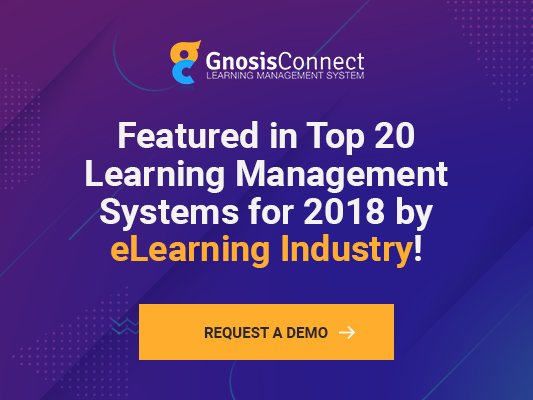 With an online LMS, you can make the changes to the rules and regulations right in the content and everyone will have access to the updates. You can even set the system to send out emails with the details of the changes. As everyone reviews the updates, you can receive notification for your own records. Managing numerous franchises from a distance can be complex. However, an LMS makes it easy and efficient. As new franchise owners come on board, you can provide access to the content they need to read. They can ask questions through messages and note when the review is completed. As new staff is hired by the franchise businesses, those people can gain access and read the same material that is relevant to them. It’s easy to set up access for all employees based on the level of information they need. You can create reports to see which franchisees are up to date on required training and other information. A learning management system enables you to manage your franchises and the various teams even when corporate is located in another state. The right LMS will be scalable and grow with your company as you add new franchisees to your family. This growth is exciting, but it can be challenging to maintain the standards your company was founded upon. With an LMS, you can communicate your expectations, train all staff as they come aboard, and monitor the franchisees to ensure continued success for the long term.